On a daily basis I get emails from some of the lovely YSB newsletter subscribers about technique. How to do a better backstroke start. How to improve turn velocity. Or even how to not have your stroke fall apart on the last length of a 200m butterfly. 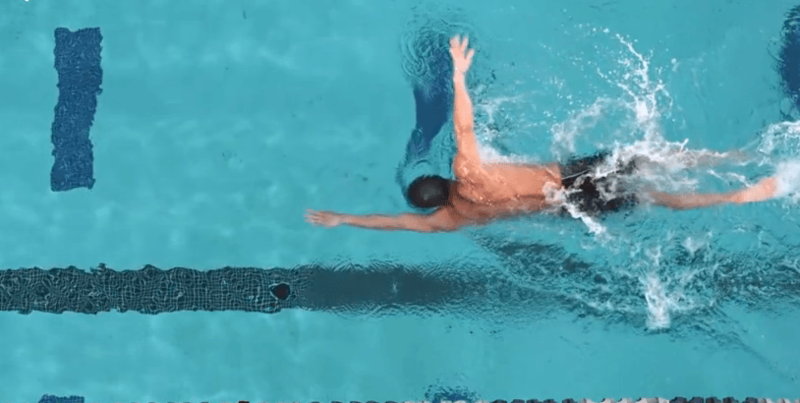 In this 4-part video series of Nathan Adrian’s freestyle technique produced by Speedo we get some pretty cool views of his stroke, as well as some pointers for improved freestyle technique. Nearly all sprinters swim with a shoulder-driven freestyle which is characterized by a windmill type of stroke where both arms are in direct opposite position of each other in order to maintain velocity. Nevertheless, we get a great glimpse at how high his elbow recovery is, the nearly vertical angle his ankles take when he is kicking for propulsion, and also how he maintains a flat body position and head facing down to minimize drag. Video 1: Hand entry, and high elbow catch.